SALE! Originally $148; now only $118! 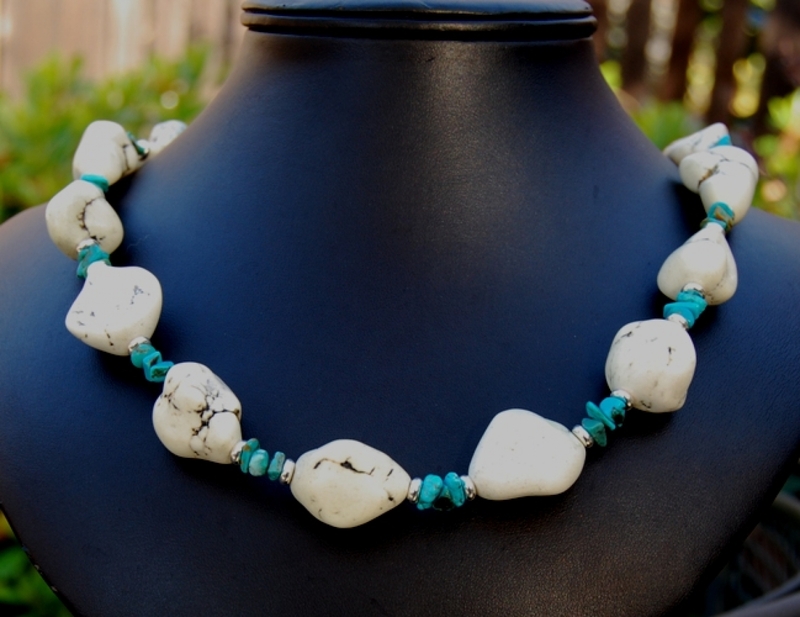 A bold strand necklace of genuine blue Turquoise chips interspersed with white magnesite (sometimes referred to as White Turquoise*). Beads, chain, and handcrafted hook clasp are sterling silver. This is a heavy necklace, but if you want a bold look, this is it! You will receive the exact necklace shown. Only one. Metaphysical: urquoise is a "master healer" and cleanser; a protective stone. It also helps eliminate negativity. Good qualities to have next to you! * Turquoise by definition must be turquoise in color (from the copper present while it formed). Magnesite is basically the same mineral with all the same attributes as turquoise except for the color. 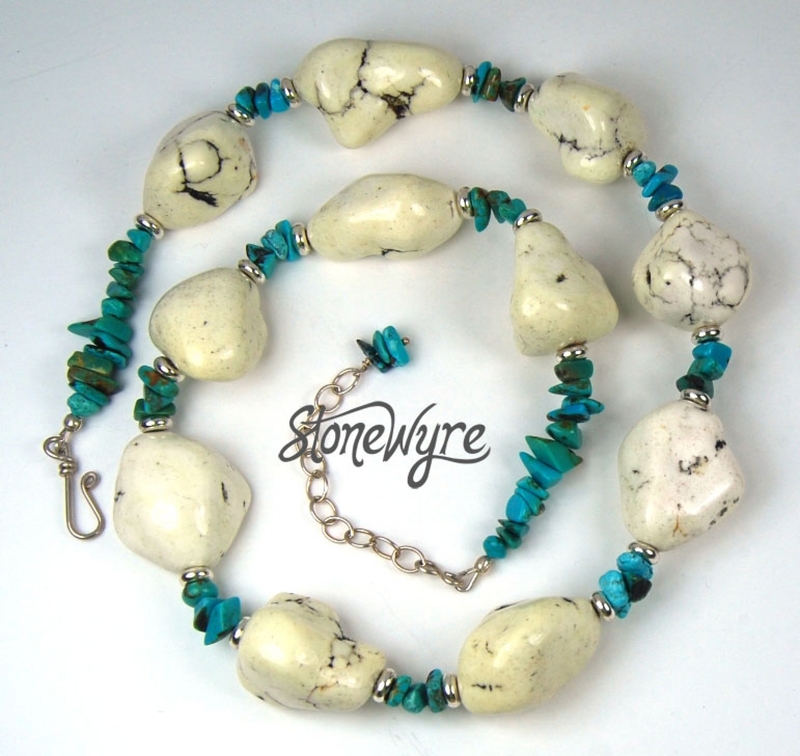 What people call "white turquoise" or "white buffalo turquoise" is, in fact, magnesite. Just as lovely, but full disclosure!